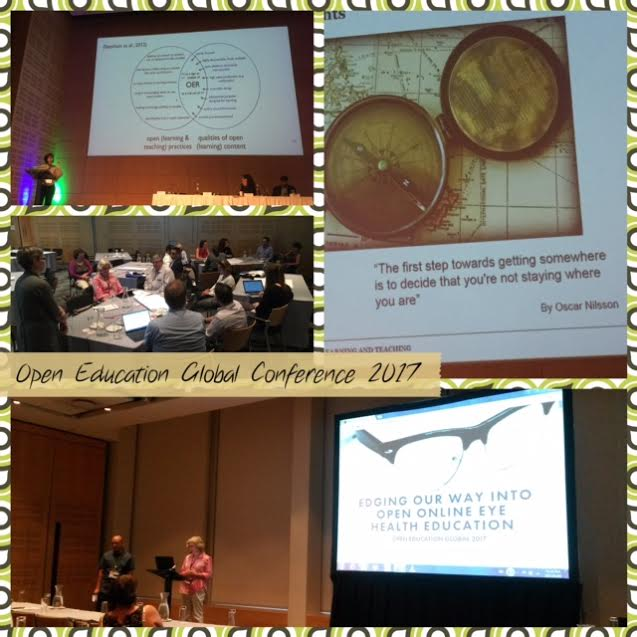 March 8-10th was set aside nearly 2 years ago for UCT to host the Open Education Global Conference with the Open Education Consortium. Glenda Cox from CILT was the lead programme organizer having recently completed her PhD on the adoption of Open Educational Resources (OER) at three South African universities. At this conference there was an extraordinary energy felt between participants. Perhaps this is a consequence of the sharing and generosity implicit in the open movement. What is openness and what does it mean were key questions woven through the three days of presentations, panels and workshops. Greg Doyle and I shared our experience of remixing and re-contextualizing a northern hemisphere designed MOOC on eye care (to prevent blindness) into an African online teaching resource. We presented on Day 2 using Adobe Spark. 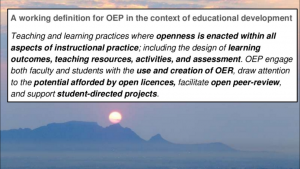 At the conference dinner we proudly applauded UCT’s Prof Johan Fagan receiving the Open textbook award by the Open Education Consortium. As curricula changes are presently happening through our efforts to promote decolonization, there are new opportunities to derive the maximum benefit from the open movement. The readiness of the institution and attitude of individuals are key factors. 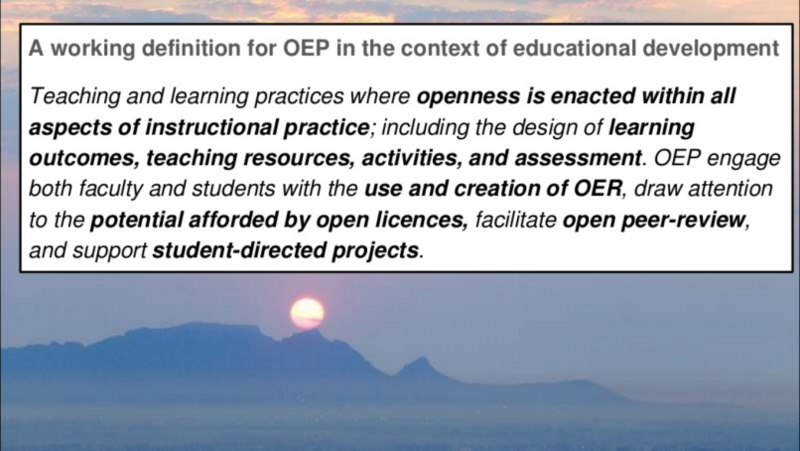 While UCT is a leading light in the change to openness, more buy-in is needed from educators and researchers.